(1) Update your festival’s ethical birding guidelines and trip leader instructions to provide clear guidance on how birders can achieve safe and gratifying experiences without altering the ability of birds to behave naturally. Take your existing guidelines and read through the guidelines we provide to integrate what you find useful. (3) We will review applications as we receive them. Award recipients will receive a cash prize of $500 and will be recognized on the Mindful Birding website. In the future we hope to open this award to birding tour operators and properties as well. 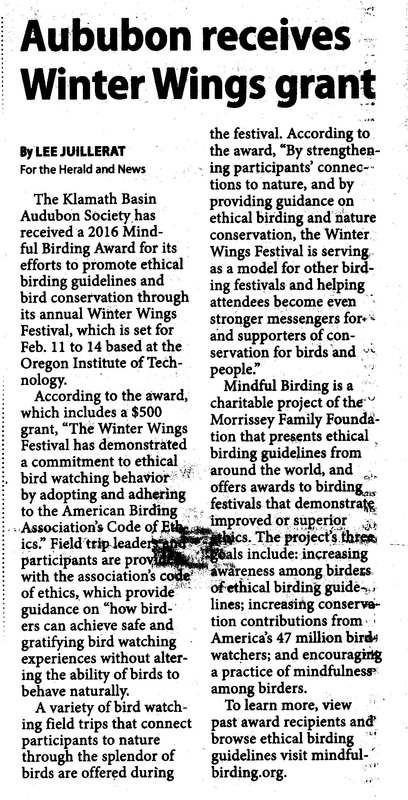 Thank you for your interest in Mindful Birding and we hope the award provides helpful marketing for your special Festival. You may want to print a PDF of our award application process for each board member for ease of discussion.